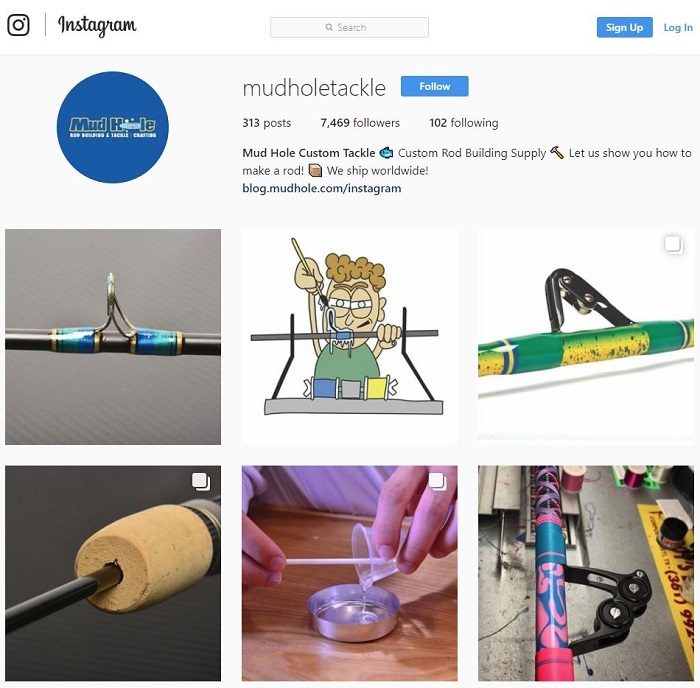 Whether new to rod building or still trying to figure out the World Wide Web, this blog provides the best tips for shopping online at Mud Hole’s website. 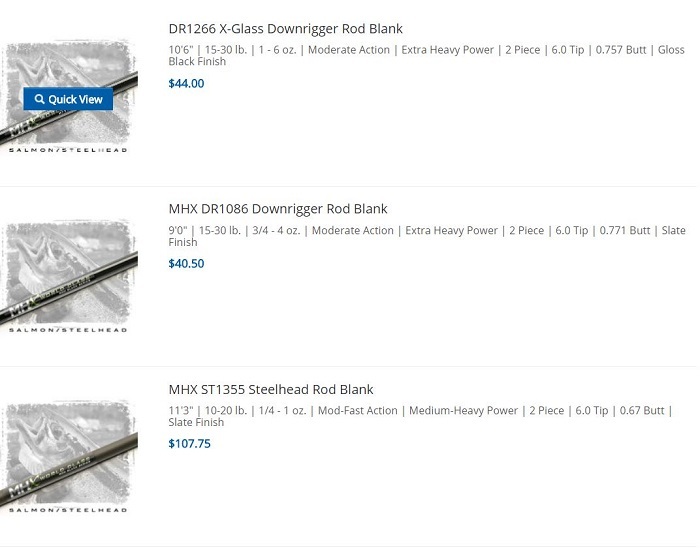 With over 52,000 SKU’s available in inventory, Mud Hole is proud to be the one-stop shop for all things rod building. 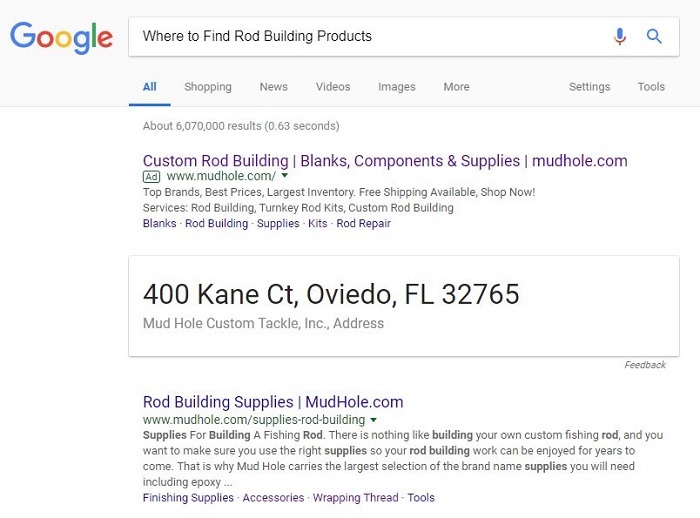 As a leader in the rod building industry and community alike, Mud Hole knows that many anglers don’t see the Sunshine State much and that’s ok! 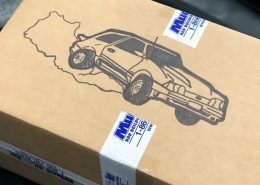 It’s ok because whether you live across the country, continent, or globe, that doesn’t mean you can’t get the rod building products that you need. 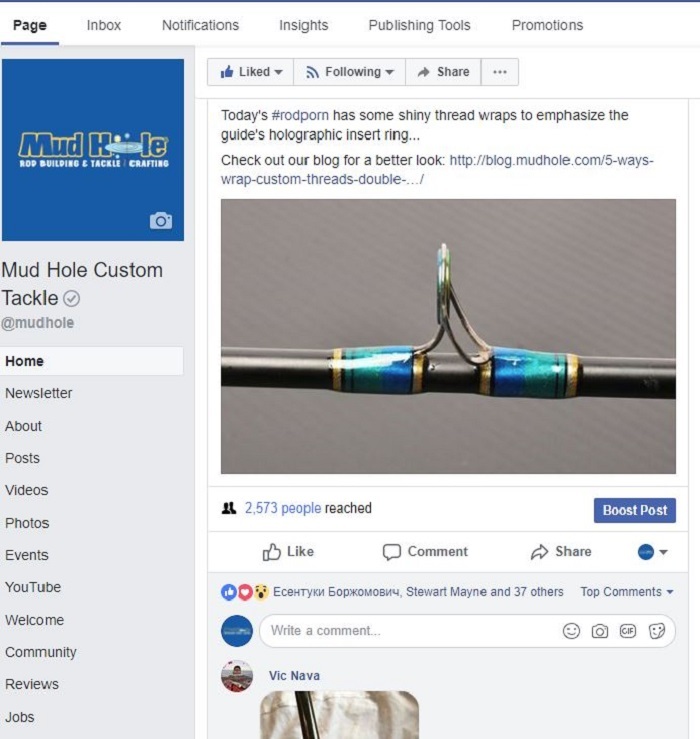 In fact with Mud Hole’s accurate and responsive website, you can get all the rod components, tools, supplies, and equipment you want sent straight to your doorstep. That is C-U-S-T-O-M R-O-D B-U-I-L-D-I-N-G.
Plus with the website navigation tips below, rod builders will learn how to sift through thousands of products with only a few clicks. Can I shop at Mud Hole online?—Of course. Can I make mobile orders from my tablet or phone?—Absolutely. Does the Mud Hole site respond to my screen size?—Indeed it does! From desktop and laptop computers to more mobile tablets and phones, the Mud Hole website is strategically designed to grow or shrink depending on your screen size. This feature not only makes shopping online easier across all formats, but also adapts to your screen to give you the best possible view of your order. 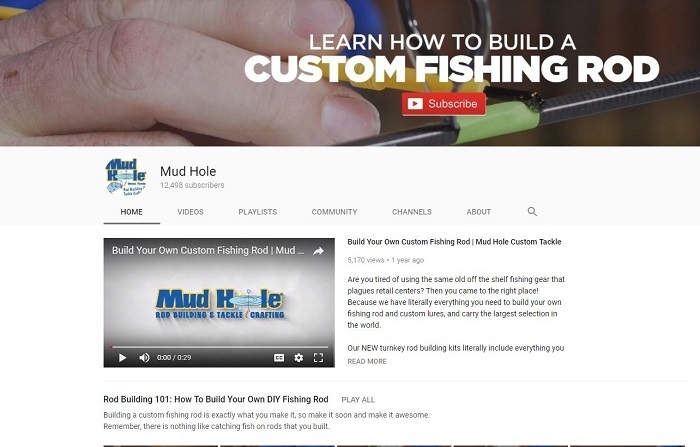 As adaptive as it is user-friendly, check out the Mud Hole on all your different devices! 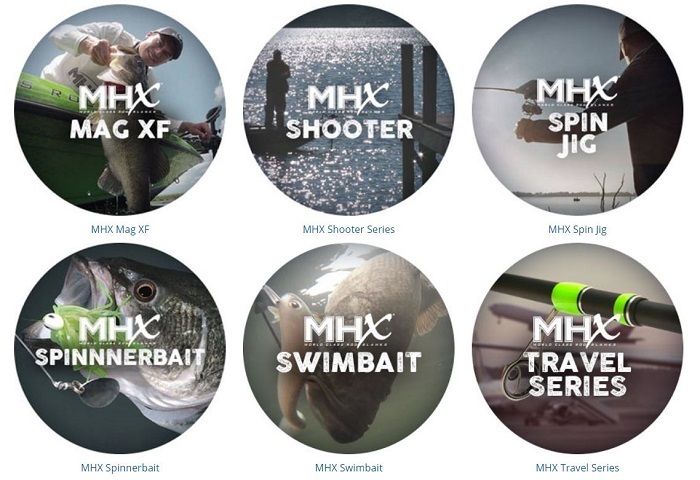 The Mud Hole website features numerous categories laid out to help facilitate fast and easy site navigation. Highlighting the categories helps customers quickly jump from the site to find exactly what they need in just seconds. In addition to helping with navigation, the website’s categories also assist in breaking out and simplifying the process of online shopping. 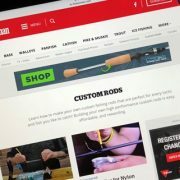 These categories provide an easy path for rod builders to click through and find exactly what they want, even if they’re just browsing the site. 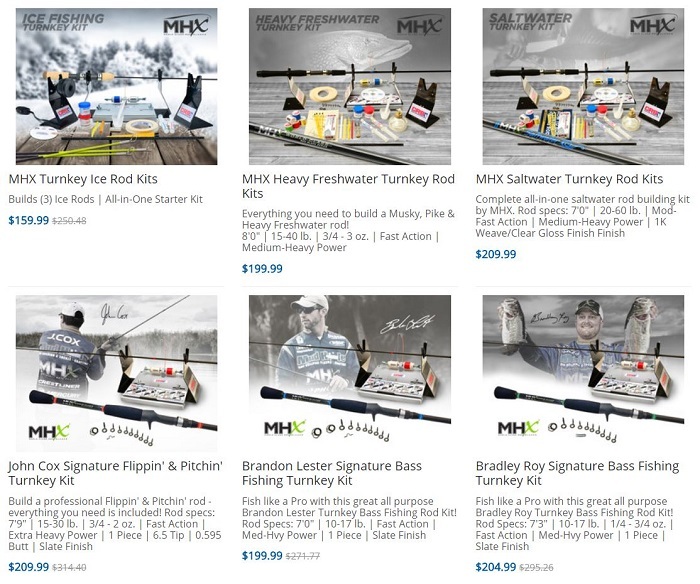 Using the categories below, rod builders find everything they need and more! Plus as you click each category, it will expand with more options within that category for an incredibly user-friendly and intuitive experience on the website. 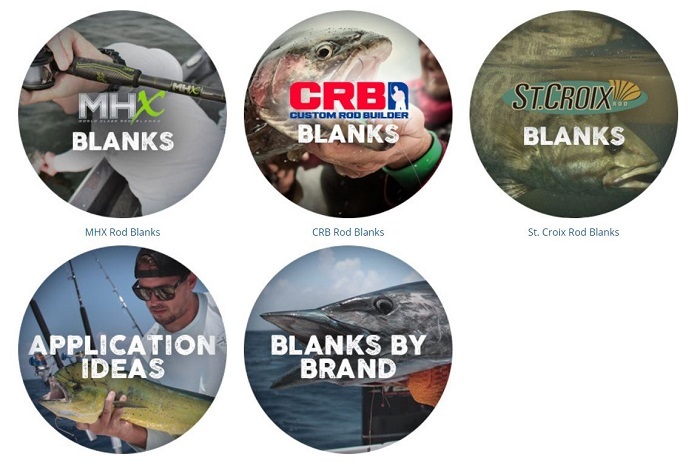 For instance, the Blanks category will break out into different brand names and the Components Category will open up into Rod Guides, Reel Seats, Handles & Grips, Rod Parts, as well as an option to Shop by Brand. All of these category features simplify the shopping process by quickly organizing products into results that reflect you’re interests and selections. Once you select a category, your choice breaks out into a series of category thumbnails that use titles and images to help guide you to your next option. This pattern continues as you get further into selecting what products you are looking for. 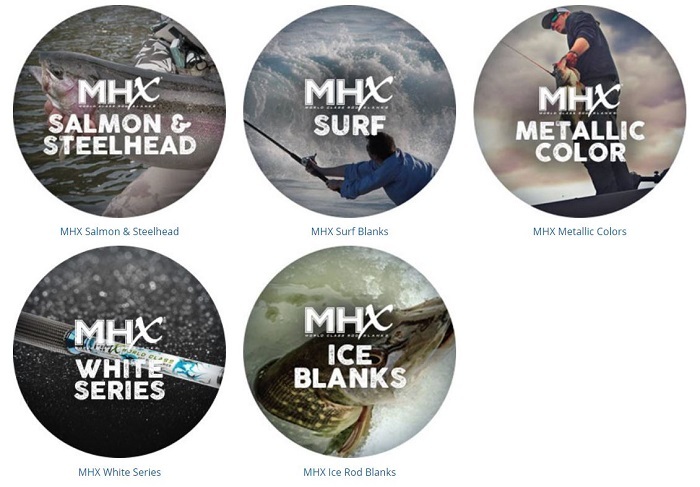 For example, if you click Blanks, it opens up into 5 category thumbnails: MHX Blanks, CRB Blanks, St. Croix Blanks, Application Ideas, and Blanks by Brand. 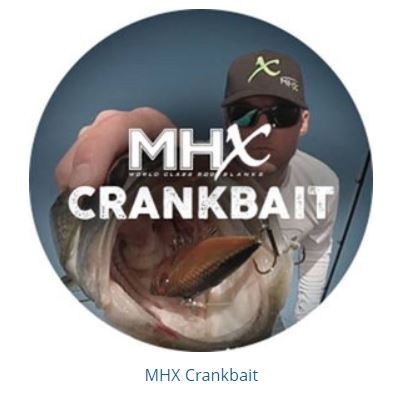 Next, let’s say you pick MHX Blanks and it opens up into multiple fishing applications represented again by category thumbnails to simplify the selection process as you go. 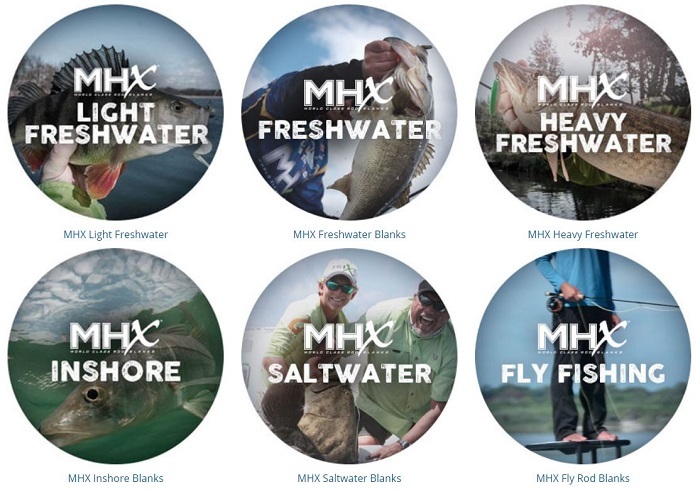 Then, after you select the fishing application you prefer, like MHX Freshwater, the site’s navigation will open up to show all the blank series designed for different fishing lures, techniques, and blank materials. 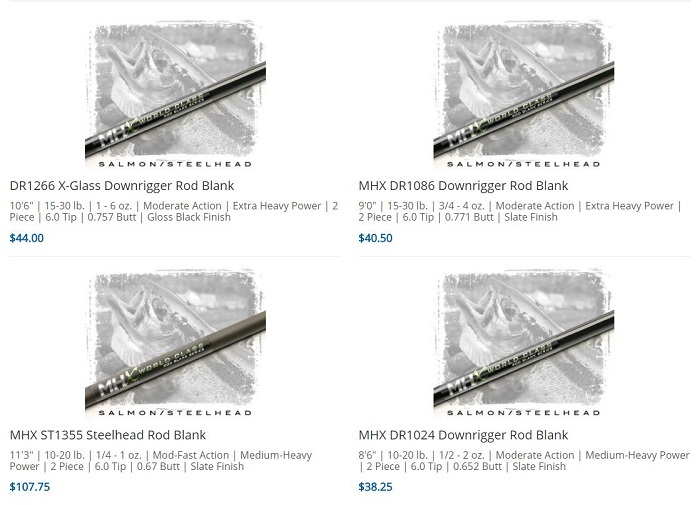 Finally, choose the option that bests fits your fishing style and the thumbnail image you choose will turn into a range of rod blanks designed for that application. 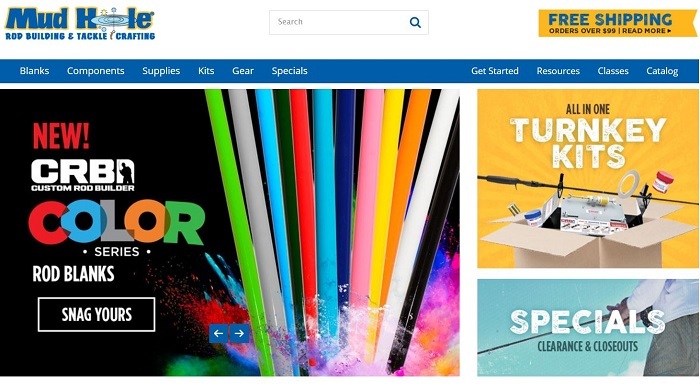 This style of website navigation is designed to help experienced rod builders quickly get the products they want as well as for newer customers to easily click through and find the rod components they’re after. Although the website features explained above work to simplify the selection process, Mud Hole didn’t stop there. We wanted to provide readily available options to quickly reduce the number of products to only what you’re looking for. 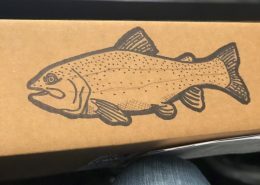 By adding helpful facets along the left side of the screen, the website allows anglers and customers alike to narrow down their selections to discover the product with the perfect fit. 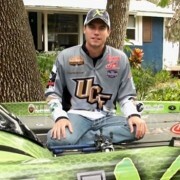 When looking at rod blanks for example, the facets that help minimize the product field are Popular Tags, Brand, Price, Application, Color, Length, Rod Action, Rod Power, Line Weight, Lure Weight, Rod Pieces, and Tube Sizes. 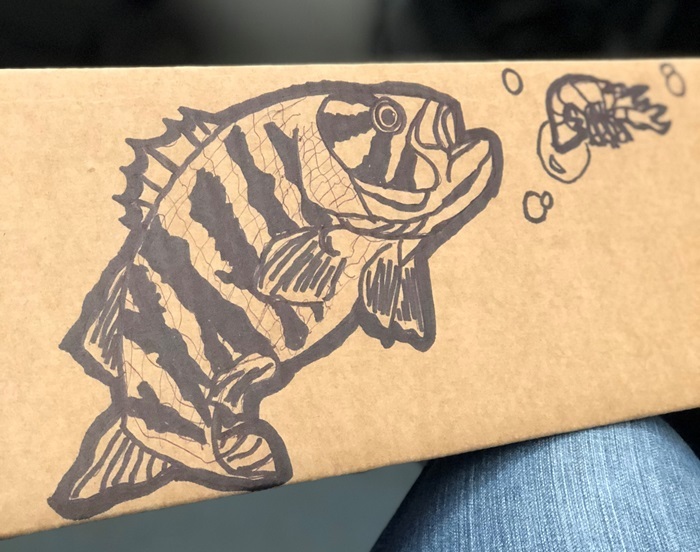 So if you’re a traveling fly angler, you might be looking for more than a fast fly blank. Maybe you want the blank to be 4-pieces, but less than 9 feet in length… Easy! 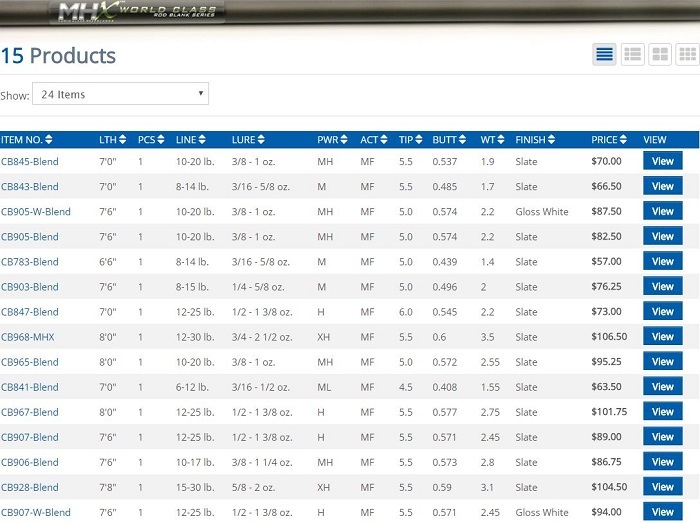 Just check these options in the facet controls and narrow down the blank options to only what fits your fishing demands. These helpful filters can be found along the left margin whether you’re looking at blanks, reel seats, grips, guides, or anything in between. 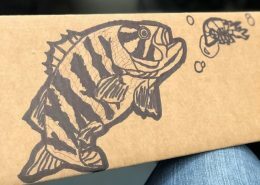 Like rod building itself, customers may have various preferences in what they’re looking for as well as how they want to see it. 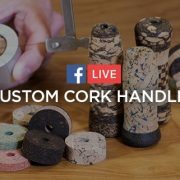 Because we know rod building and appreciate what makes each builder unique, the website includes multiple product views once you reach the desired page. 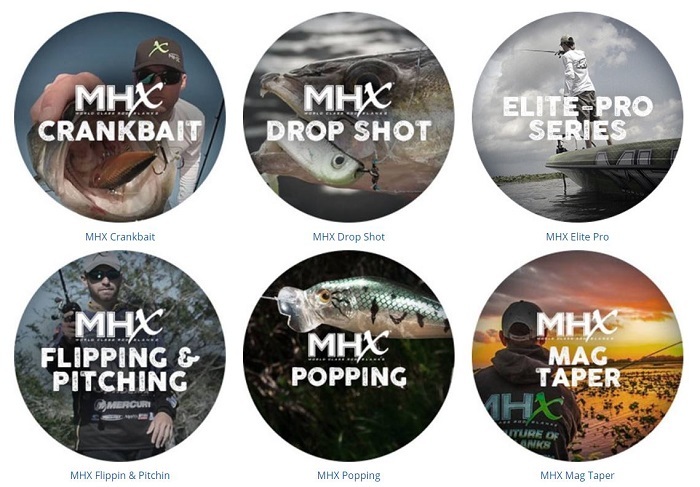 For instance, while looking at MHX Salmon & Steelhead fishing rod blanks, there are 38 possible products. Since that’s a lot to take in, we added the different page views to make it easier on your eyes. Simply choose the style page view that helps you the most! 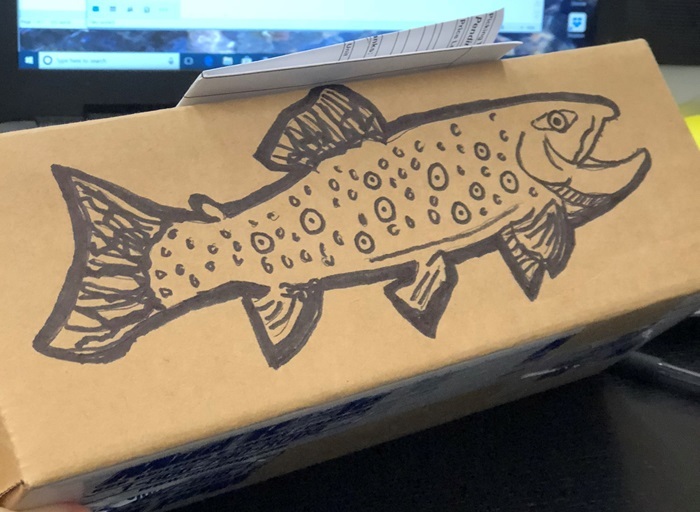 With each view option, rod builders can customize their page view to fit their needs just like customizing a fishing rod! 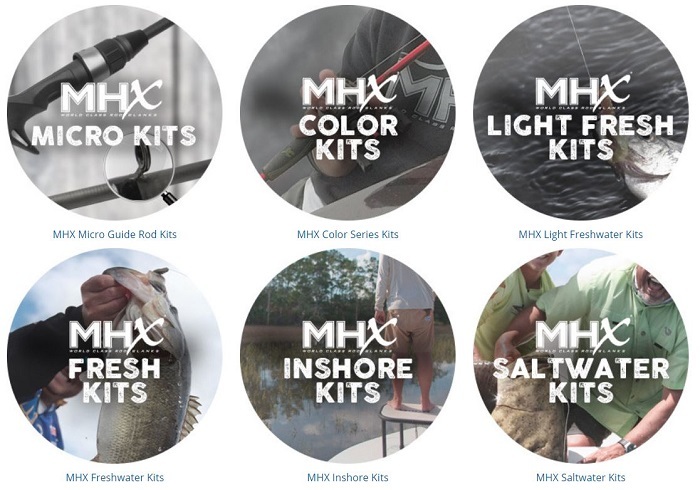 The kit format has truly revolutionized the world of custom rod building. In the past, rod building had a steeper learning curve because ordering was as demanding as building the rod itself. 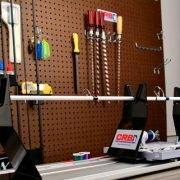 But now with the rod building kits, customers get the best of both worlds at the click of a button. 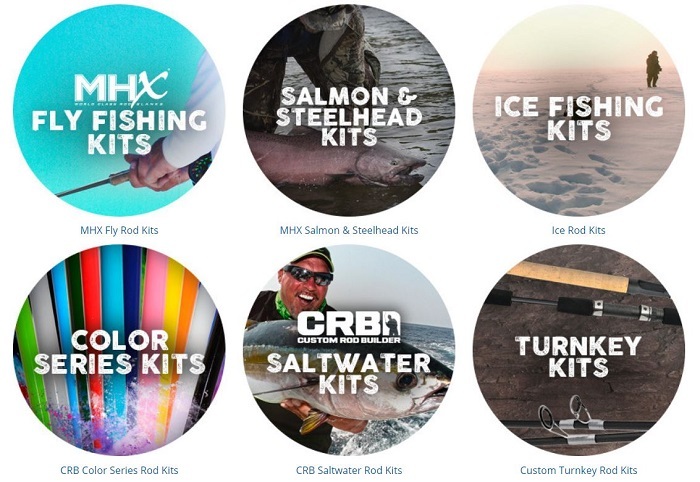 Maintaining the aspects that make rod building a celebrated custom craft, but then simplifying the selection process with kits organized with the best choices in components, it’s not only easy to order—it’s actually pretty FUN too! 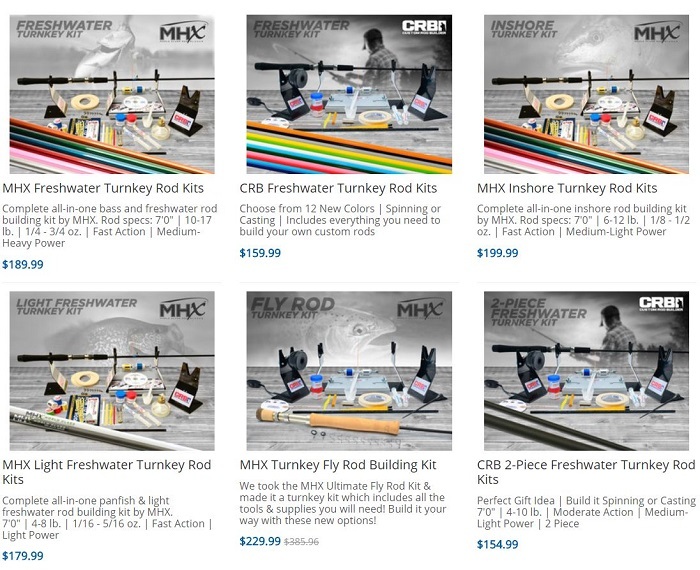 Designed as the perfect starter rod building kit or as one of the best ways to stock up while saving money, Turnkey Rod Kits are truly game changers. 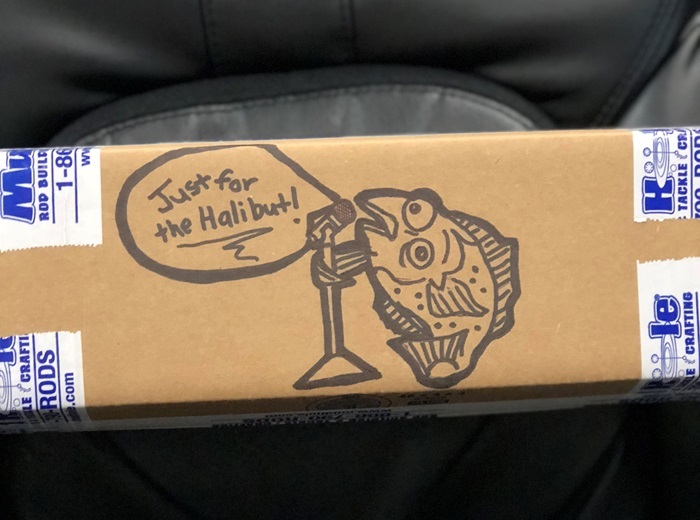 The ordering process is easier than ever and the final custom rods you build are as awesome for performance as they are to look at on the water! 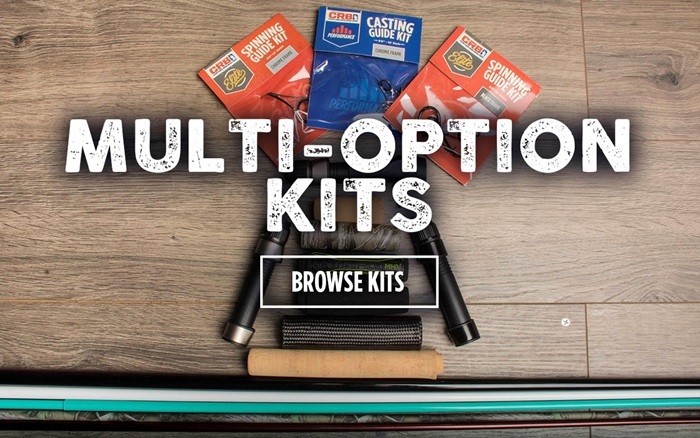 When it comes to dialing into a specific application or technique, it’s hard to beat the variety of options available under Multi-Option Rod Kits. 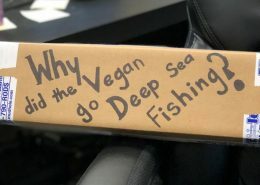 From the wide range of fishing applications to the simplicity of ordering each kit, the multi-option rod kits really stand out as stellar rod building options for anyone who’s interested. Plus, even though the multi-option kits don’t include the tools and supplies to start like the Turnkeys, these kits can be paired with tool and supply kits like the FSB-2 to still get everything you need. 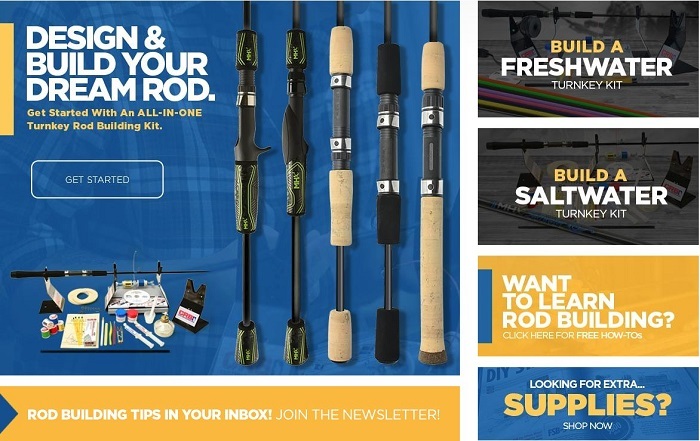 Adding a tool kit, supply kit, or a tool AND supply kit, helps turn the perfect multi-option rod kit into your best bet for custom rod building. Mud Hole is widely known as the largest supplier of custom rod building components, tools, and supplies. With a title like that comes a very, very large inventory and sometimes you just have to use the search bar to find exactly what you want. 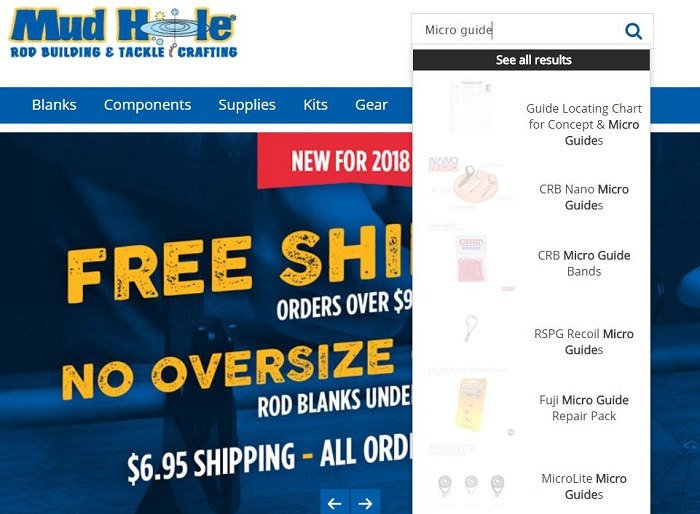 Just type in the appropriate keywords, product names, or item numbers from the catalog to quickly and easily find the corresponding components. Sure the search bar feature is commonplace on most web pages today, however, when you’re in a bind and need fast results, the search bar is the best way to go! In the realm of ecommerce, a website with a difficult checkout process is often too irritating to buy from. On the other hand, the more user-friendly a website’s checkout is, the more likely customers are to use it and use it more often. To benefit online shoppers, the Mud Hole website relies on a checkout process that is fast, simple, and very effective. From selecting items for your shopping cart to purchasing these items, the checkout process serves as a seamless transition from choosing components to paying and receiving these components. While checking out at Mud Hole, you will notice an order summary box on the right margin of your screen. This summary details your order with prices as well as item numbers. These details not only troubleshoot item information, but also help make sure you got everything you need on this particular visit. In addition to the order summary, the checkout page is only that… a single page. 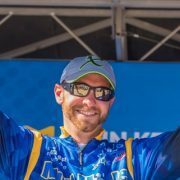 While other sites jump from screen to screen with requesting more and more information, on Mud Hole’s website, everything is boiled down to just one page. The one and done checkout process is online shopping done right! 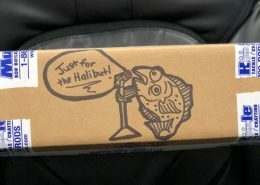 Under order notes, you can receive the customer service that avid rod builders really enjoy. For some builders, this is where they request help like to have a tip-top sized, a thread color matched, and other similar favors. 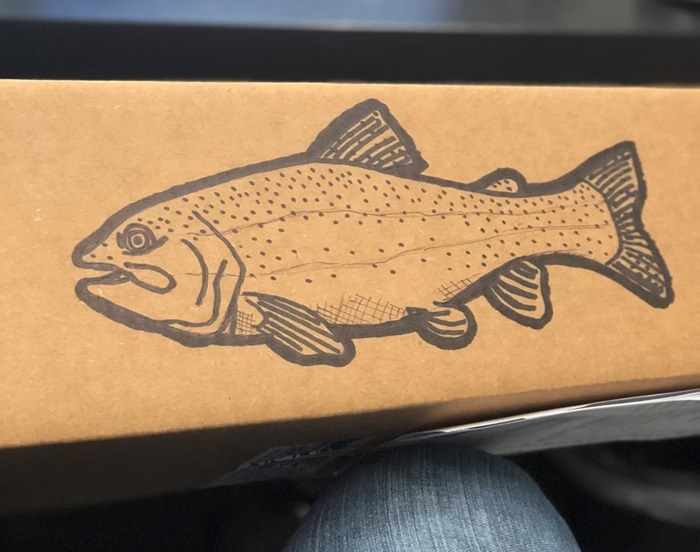 But for other customers, this section has become a popular place to request an artful drawing on the actual box that the order is shipped in. 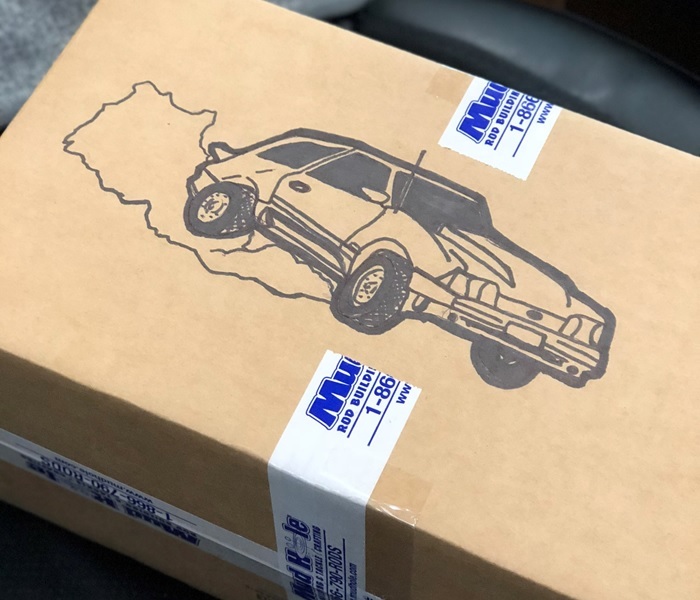 All year long in 2018, domestic Mud Hole customers are eligible for free shipping on any orders over $99! Oversize and freight items may require handling charges for rod blanks over 9′ as stated in the Oversize Package Handling section. Orders cannot be combined to receive free shipping, and may not be applied to previous orders. Gift certificates do not count towards order total. *Excludes Fedex 2-Day & Next Day Air. Power Wrappers shipping with these options have a $39 oversize package handling fee. 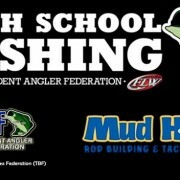 If you are a die hard fan of fishing, rod building, and Mud Hole Custom Tackle, check out more of our exciting platforms! 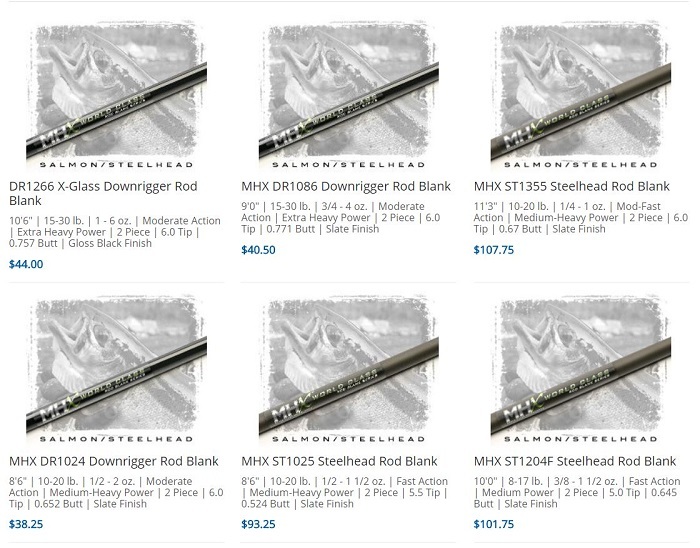 Whether seeking advice, ideas, or just looking for a fun way to waste time, these are all great places for rod builders to start! Well with a website that features user-friendly navigation and an all around great online shopping experience, a better question is why NOT shop at Mud Hole? 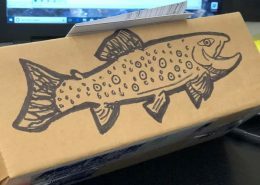 Leave those “the one that got away” nightmares behind by shopping at rod building’s greatest online warehouse to build the fishing rods of your dreams!